Manufacturer of a wide range of products which include beam trolley, sparkproof travelling trolley, sparkproof trolley - 7.5ton, geared travelling trolley, geared travelling trolley with ball bearing-5tx3m and spark proof trolley - 7.5t x 3mtrs. 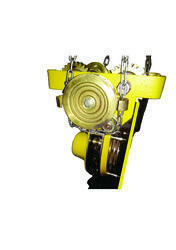 We are noted amongst the leading manufacturer, exporter and supplier of Beam Trolley. This trolley is manufactured using superior quality components under the guidance of our skilled professionals at par with the international standards. Our team of quality controllers further tests this Beam trolley on various parameters to ensure its flawlessness. Moreover, our offered range is available in different specifications to meet the varied needs of the clients. 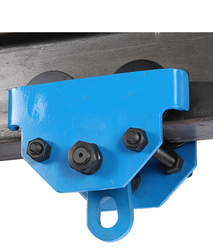 We are the leading Manufacturer and Supplier of Spark Travelling Trolley.cap. 1t X 3mtrs Lift. 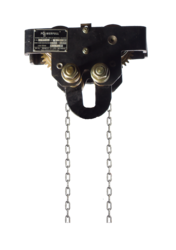 We are the leading Manufacturers, Traders, Exporters and Suppliers of NON SPARK TROLLEY - 7.5Ton x 3Mtrs. Our clients can avail from us heavy duty range of Geared Travelling Trolley that is available in various sizes and specifications at the most competitive prices. These trolleys are fabricated using best quality materials that are procured from trusted suppliers. They are widely appreciated for its high durability and zero maintenance. Our trolleys are used for loading and unloading of material. They are well known for their high performance and strength. Moving by pressing the Push button. We M/s B.E.M.CO. Pvt. 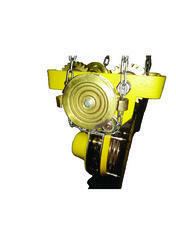 Ltd., are manufacturing POWERFULL® Bemco Brand ISI-Marked Chain Pulley Blocks of BEST QUALITY indigenous. 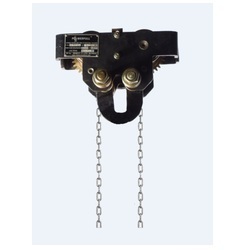 (d) I-Beam travelling trolley, Geared Pull-Push type(e) Alloy Steel chain sling as per IS 2760. (f) Crane hook with/without machining as per IS 3815/15560 with all test certificates like Ultra,MPI, IDLR T/C with Government Approved Test House as per requirement of customer. Find attached our offer with catalogue for your reference. 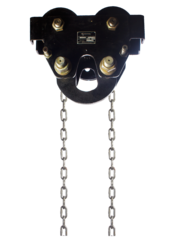 (b) Stainless Steel Chain pulley Blocks T/Trolley with all parts in S.S. 304 construction. We are the leading supplier of Geared Traveling Trolley - 20Ton made available to our clients at competitive prices. Capacity - 5Ton x 3mtrs Lift.